Come check out this chic modern home, sitting upon a wooded lot with ample mature trees and a creek running in the back. The kitchen features cabinets with beautiful granite, high-end appliances and beautiful subway tile. Master suite with walk-in-shower, dual shower heads, bench & beautiful tile work. Large guest bedrooms & well appointed guest baths w/white tile & granite counters. Finished basement with bed/bath/family room & wet bar. Perfect for in-law/teen suite. Gleaming hardwoods throughout. Roof top deck to entertain. 2 car garage with extra storage! Directions:Northside Drive to Hillside Drive, left on Tuxedo Forest, home on the left. SchoolsClick map icons below to view information for schools near 4232 Tuxedo Forest Dr NW Atlanta, GA 30342. Home for sale at 4232 Tuxedo Forest Dr Nw Atlanta, GA 30342. 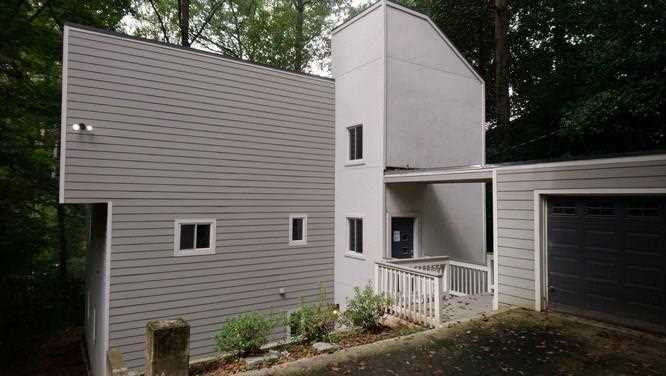 Description: The property at 4232 Tuxedo Forest Dr Nw Atlanta, GA 30342 in the Tuxedo Park subdivision with the MLS# 6095632 is currently listed for $530,000 and has been on the market for 168 days. You are viewing listing details of the home for sale at 4232 Tuxedo Forest Dr Nw Atlanta, GA 30342, which features 4 bedrooms and 5 bathrooms, and 2592 sq.ft. of living area.